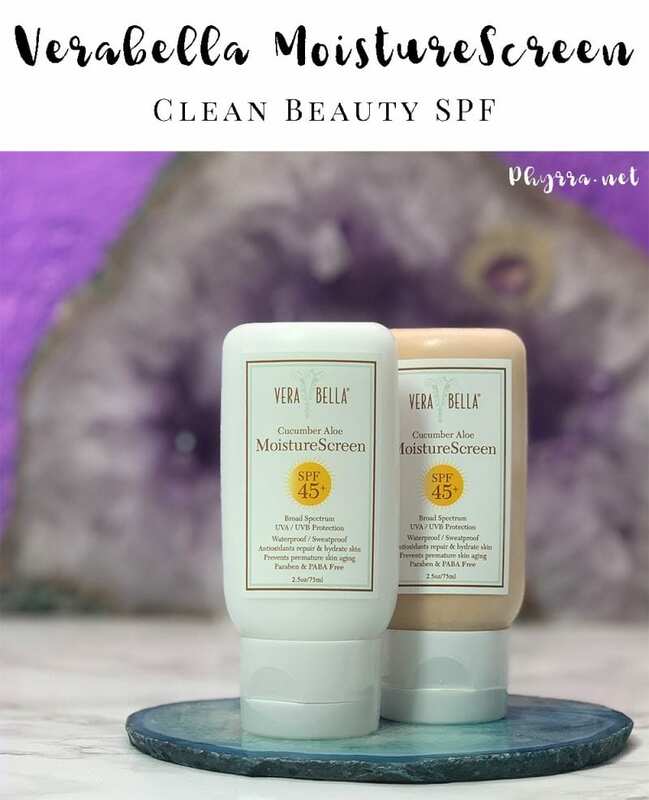 Today I’m sharing my Verabella MoistureScreen SPF 45 review with you. Verabella is an indie skincare brand. I’m a big fan of their products! Verabella is a 100% cruelty-free, vegan, gluten-free, paraben-free, non-toxic, non-nano clean beauty brand. Active Ingredients: Micronized Zinc Oxide 9%, Octyl Methoxycinnamate 6.5%. Inactive Ingredients: Aloe Barbadensis (Aloe Vera) Leaf Gel, Glyceryl Stearate, Caprylic/Capric Triglyceride, Alpha Lipoic Acid, Ascorbic Acid (Vitamin C), Tocopheryl Acetate (Vitamin E), Calciferol (Vitamin D), Vitis Vinifera (Grapeseed) Extract, Oenothera Biennis (Evening Primrose) Oil, Helianthus Annus (Sunflower Seed) Oil, Carthamus Tinctorius (Safflower) Seed Oil, Ulmus Fulva (Slippery Elm) Extract, Borago Officialis (Borage) Oil, Matricaria Chamomilla (Chamomile Flower) Extract, Plantago (Plantain) Extract, Cucumis Sativus (Cucumber) Extract, Allantoin (Derived from Comfrey Root), Hyaluronic Acid, Squalene (Derived from Olives), Sodium Benzoate. 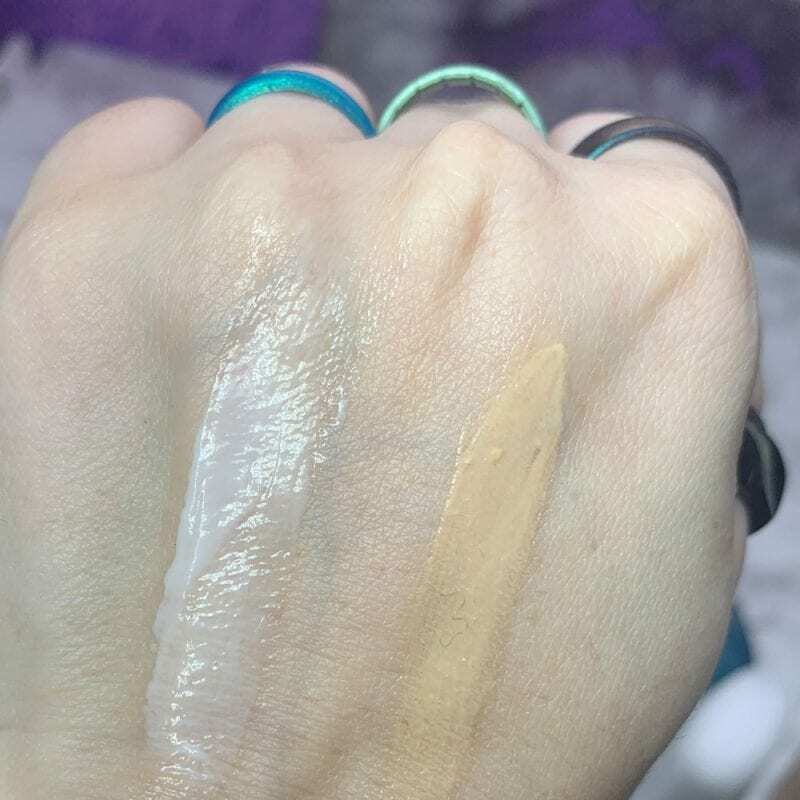 On the left is the untinted version of MoistureScreen, while the tinted is on the right. On my pale neutral to cool yellow olive skintone, once the tint has fully dried down, it’s too dark and orange. On the back of my hand, it’s obviously deeper than my fair skin. Let me get what I don’t like about the Verabella MoistureScreen SPF 45 with you. Unfortunately, if I get this anywhere near my eyes it makes my eyes burn for several minutes. This makes me so sad. It’s possibly because of the cucumber scent. Fragrance irritates my sensitive skin. I have to make sure I put another SPF product around my eyes before I use this or I’m swearing in Enochian. I genuinely wish that brands would make fragrance-free versions of products for people who are sensitive like me. 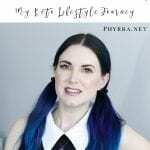 Ok so let me tell you what I love about the Verabella MoistureScreen SPF 45. The biggest thing I love about it is how silky soft and hydrated it makes my face! I love that it’s hydrating enough for my dry sensitive skin. I wholeheartedly recommend this to anyone who has dry skin. It worked well in the winter months for me and it’s been great in the spring too. Verabella also makes a tinted version of their MoistureScreen SPF 45. It’s equally as hydrating as this one. Unfortunately for me and my pale skin, it’s way too dark and too orange for me. It also irritates my eyes if I get it too close to them, just like this one. 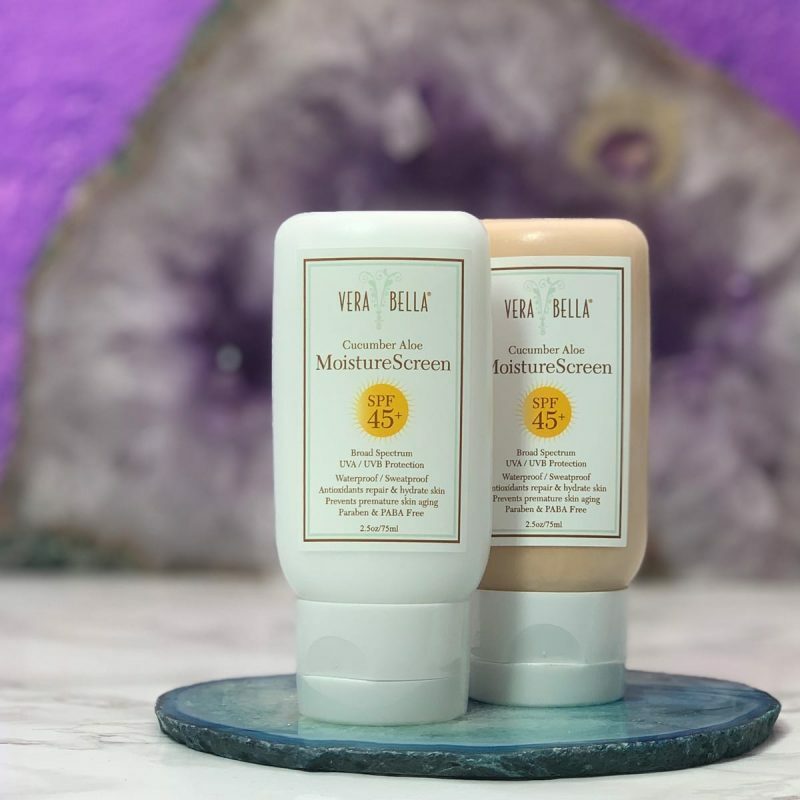 Overall, if you’re looking for a new vegan SPF that fits the definition of clean beauty, you need to check out the Verabella MoistureScreen SPF 45. It’s perfect for normal to dry skin. If you’re sensitive like me, keep this away from your eyes. Aside from that eye thing, it’s become my daily wear SPF. I love how hydrating it is for my dry skin! Want to know the secret to beautiful skin? Click here! 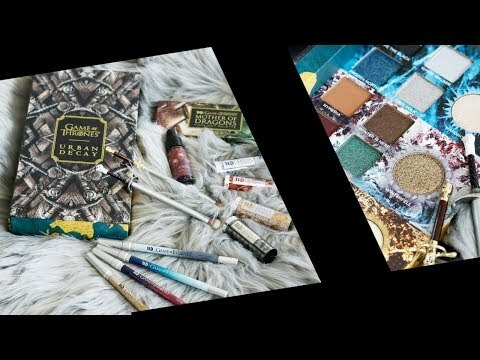 I love Verabella products! I use their Aloe Tea Tree Gel for my acne prone skin. I also keep their sunscreen in my purse – it’s a perfect size for that!